Please note: we are unable to discharge our guests to anyone not identified as the owner above, without prior authorisation by you. PLEASE NOTE: Proof of vaccination is required at least 14 days prior to check-in (or immediately if the check-in date is within 14 days). If you do not have a Vaccination Certificate or Vaccination Card your vet can fax or email us a copy on your behalf. Please tick this box to acknowledge that you understand this. Is your pet on any medications? If so, please list these along with the frequency of dosing. PLEASE NOTE: All prescription medications must be provided with the dosage label as prescribed by a veterinarian. We are unable to accept medications that are unlabelled or loose. Has anything changed about your pet since your last visit (for example, changes in behaviour or health/medications)? Our air-conditioned Executive Suites are just like home! These private suites have a cool tropical decor and their own television, floor mats, chairs and other amenities. Each Executive suite has access to a shaded balcony with adjoining play area for individual or supervised group play. Our Large Standard suites have enough space for families to share! Each suite can accommodate two large beds, or multiple small beds. 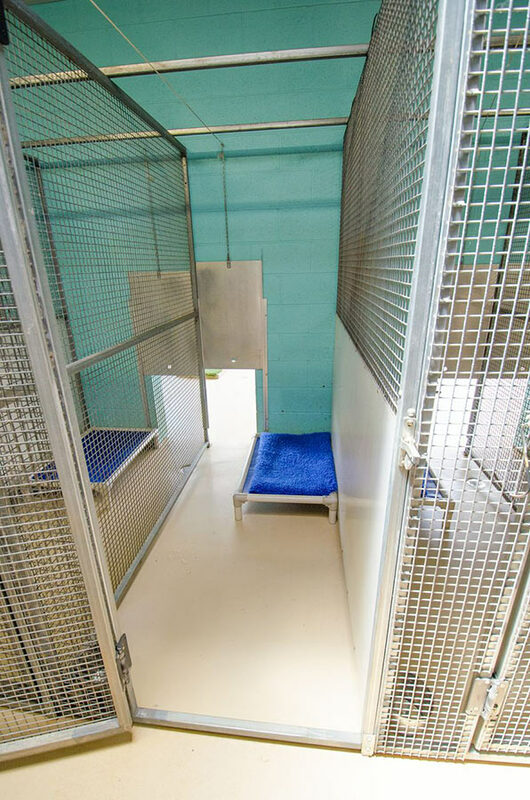 Our Small Standard suites have enough space for up to two small dogs to share, or one medium-sized dog. 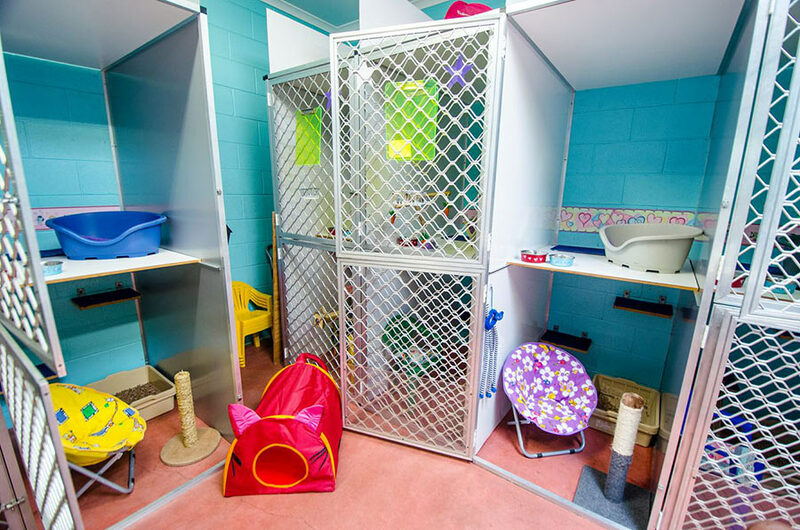 Our cattery suites are fully air-conditioned indoor suites with all the comforts of home! 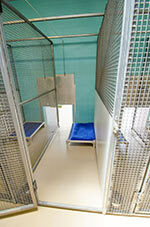 Each cat has their own "upstairs-downstairs" room, with comfy bed, scratching pole and a hideaway if requested. 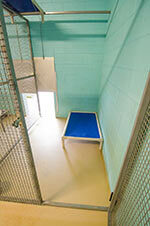 For safety, we only allow pets that live together to share a suite. The Furry Godmother offers several super-premium pet foods for dogs and cats. If you would prefer us to feed your own food, please let us know what this is (please note, a fee of $3.00 per day may apply if fed your own food, and food must be provided in individual portions in zip-lock bags or sealed containers). 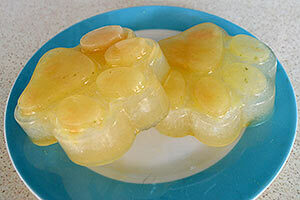 Beat the heat with a flavoured ice-block for your dog or cat - each ice-block has a tasty surprise in the middle! ($4.00 each). For a true connoisseur of fine dining, we offer homemade tapas made fresh by our Godparents. 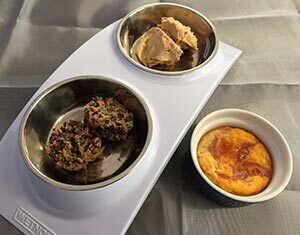 Your truly spoilt furkid will get a selection of treats such as Baked Wild Rice Risotto and Smoked Salmon & Ham Omelettes, each served with a generous serve of Peanut Butter & Bacon Ice-Cream! Each tapas plate is $14.00. 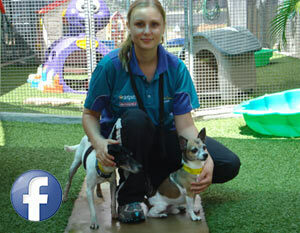 Our trained pet concierges spend most of the day with our guests as part of their daily routines. 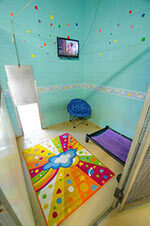 However, we also offer private playtime for your pet with one of our team. We are available to provide pats, cuddles, and of course - play! The Standard Yappy Hour package also includes a photo shoot to be published on Facebook! 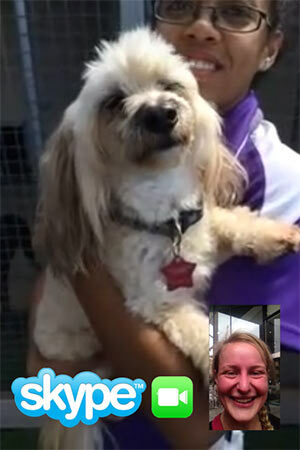 The standard Yappy Hour package, with the inclusion of video calls! See exactly how much fun your furkids are having on their holiday! At a prearranged time, we will contact you via Skype or FaceTime, so you can participate in a video call during the playtime session. Calls can be done during business hours, Monday-Friday, and we will try to work out a time that works for you while you are away. How many Videocall sessions would you like to book? Add a little luxury! 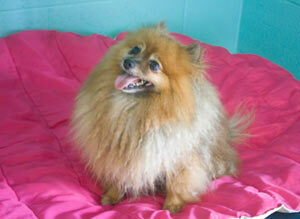 We can provide your dog or cat with a fluffy lambs-wool DryBed for extra comfort on their bed. Only $8.00 for the entire stay! Monday-Friday: Check-in and Check-out between 8am-11am and 3pm-5pm. Saturday: Check-in between 9am-11am. Check-out between 9am-3pm. Sunday: Check-in and Check out between 11am-1pm. Public Holidays: by arrangement only. Check-in and Check-out can be arranged outside of these hours, however additional fees may apply. Include any other information or comments you feel are relevant to the care of your pet here. The Furry Godmother’s Pet Taxi is available to collect your pets from your home, as well offering an airport shuttle service between Darwin Airport and the resort. 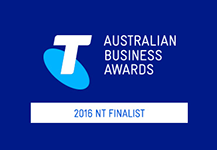 We can even arrange interstate travel to make things as easy as possible for you! Please note any special instructions or notes in relation to the travel request.